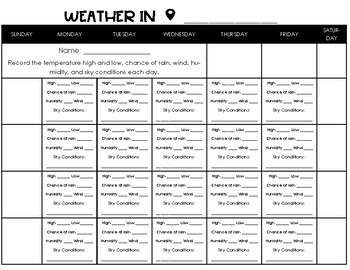 Using this weather recording calendar, students record temperature high and lows, chance of rain, humidity, wind, and sky conditions for any location. This can be used with any month. It is great printed on larger paper or poster size. You can use the weather app or any online weather resource to track weather.